Guelfo Zamboni was born in Santa Sofia, in the Romagna region of Italy, in 1897. uring the Second World War he was Consul General of Italy in Nazi-occupied Salonika, home, in 1941, to the world’s largest community of Sephardic Jews (56,000 people). ollowing his arrival in Salonika in February 1942, for several months the consul managed to prevent the Nazis from treating the city’s Jews as they had the Polish and Ukrainian Jews over the previous months. But by early 1943 he was forced to restrict his efforts to the protection of Italian Jews; Eichmann had, in fact, sent his representative to Athens for the deportation of the Salonika community. Zamboni organized a transport that left Salonika in the night of 15 July, thus enabling Italian Jews to flee to Athens. And it was thanks to his efforts and to the false papers he had provided them with, that several scores of non-Italian Jews managed to escape on the same train. Zamboni had granted them Italian citizenship on the pretext of family ties. To save them from deportation, Zamboni wrote numerous telegrams to the Ministry of Foreign Affairs, woke the head of the Italian delegation in the middle of the night and successfully obtained false identity documents for 280 Jews to reach Athens; the Greek capital was in the Italian-occupied zone so they were able to evade German control and thus deportation. 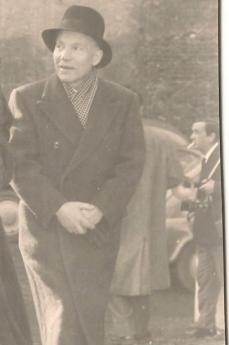 uelfo Zamboni died in 1994 in Rome. n 1992 the Yad Vashem commission in Jerusalem awarded him the title of “Righteous among the Nations”. Zamboni’s rescue efforts were described by his colleague, Lucillo Merci, in a diary and taken up by Daniel Carpi, an Israeli historian of Italian origin. In an essay published by the University of Tel Aviv, Carpi traced the two and a half years between the arrival of the Germans in 1941 and the almost total annihilation of the Jewish community in 1943. He based his report on documents found in the “Archives of the Council General of Italy in Salonika” in the Farnesina (headquarters of the Italian Ministry for Foreign Affairs). The author claims that hundreds of Jews owed their lives to Guelfo Zamboni’s courage. he tale of the consul, which went nearly unnoticed in our country, returned to the limelight and was told in detail to the public in the book "Ebrei di Salonicco 1943-I documenti dell'umanità italiana" (Salonika's Jews 1943 – Italian humanity documented”) published by the Italian Embassy in Greece and edited by Alessandra Coppola, Antonio Ferrari and Jannis Chrisafis. A theatrical work on the role of Guelfo Zamboni was based on this book.